Oh, Cubs fans. We love you. Sorta. The Loveable Losers' winning season was analyzed a thousand different ways. Except one. 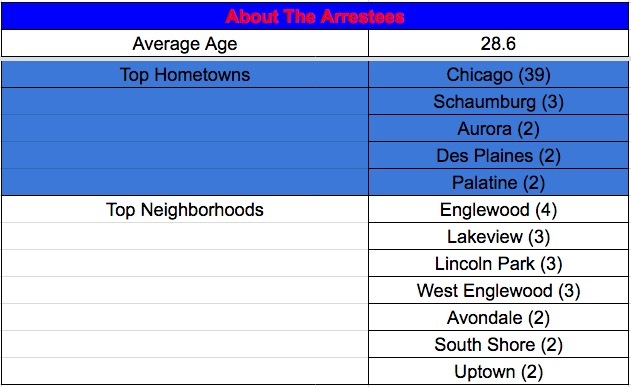 Some visiting teams are much "better" at generating arrests than others. Much, much better. 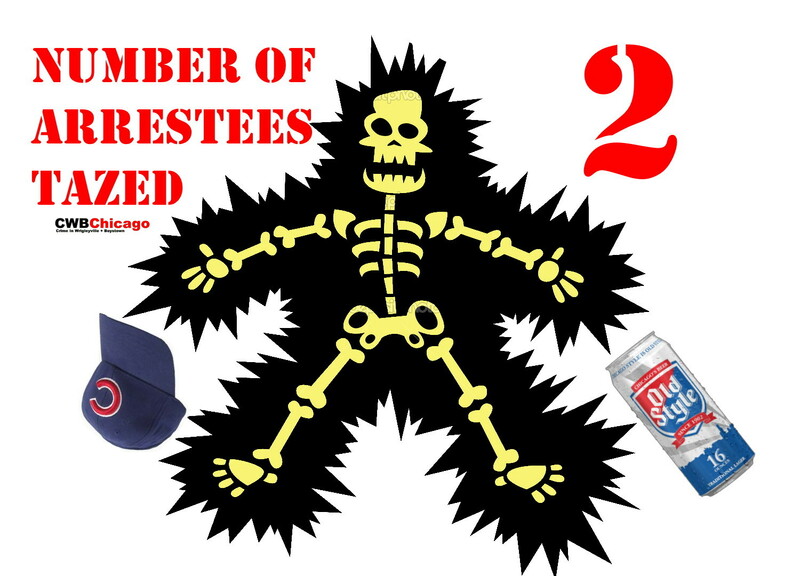 The race for first place in total arrests literally came down to the last home game of the season. The St. Louis Cardinals generated three arrests during the Cubs' final homestand, but that just wasn't good enough. Congratulations to....The Milwaukee Brewers, breeders of 20 Wrigleyville arrests! But the Brewers also earn another award for their (very) empty trophy case. In addition to having the most arrests overall, they also tied for most arrests per game played at Wrigley! Nice job, Cheeseheads! Why are we celebrating violence here? Good job, Cali boys. You almost made up for carnage inflicted by the San Diego Padres. Almost. 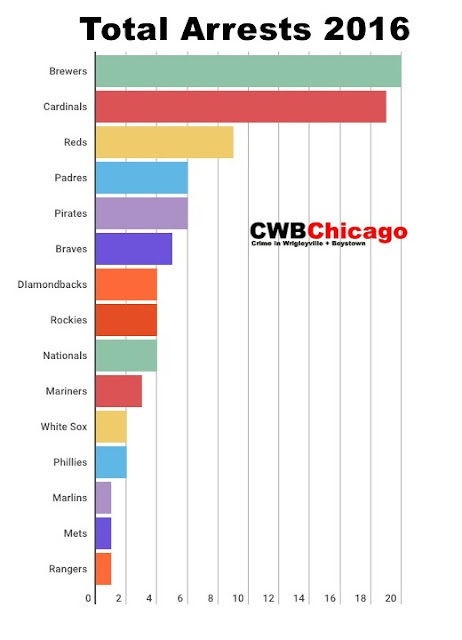 Wrigley Field is the most common arrest location, obvs. But how did bro hotspots like John Barleycorn and Deuces and Diamond Club not make the top five? Welp, that's why God gave us the post-season, right boys? Second place goes to The Cubby Bear, edging out Sluggers World Class Sports Bar by just one pinch. The three-way tie for fifth place goes to Taco Bell, Country Club Bar and the Sports World souvenir stand. 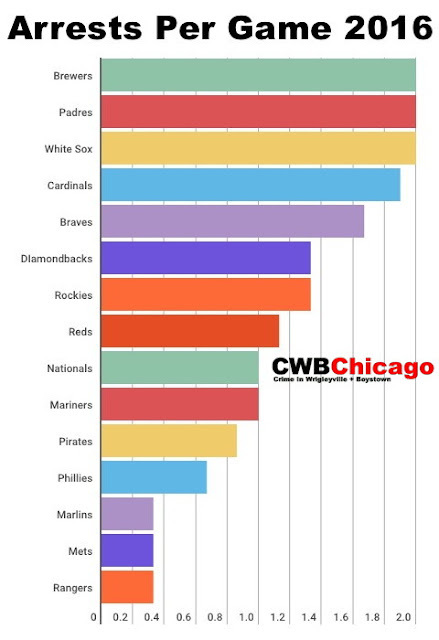 Who's most likely to be arrested at a Cubs home game? Young men, of course. And a young man named "Samuel" or "Sammie" was most likely to be jailed followed by the odds-on favorite—"Justin." Men were arrested seven times more often than women this year. The youngest arrest? 18. The oldest? 69. Now, pull up a chair and get ready for the real action. 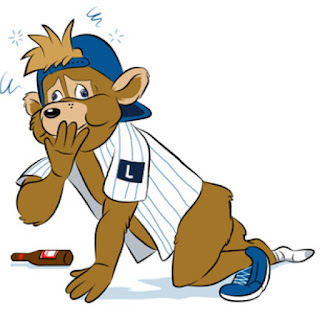 Cubs post-season play starts this Friday at 8:15 p.m..... At Wrigley Field. We'll be there. 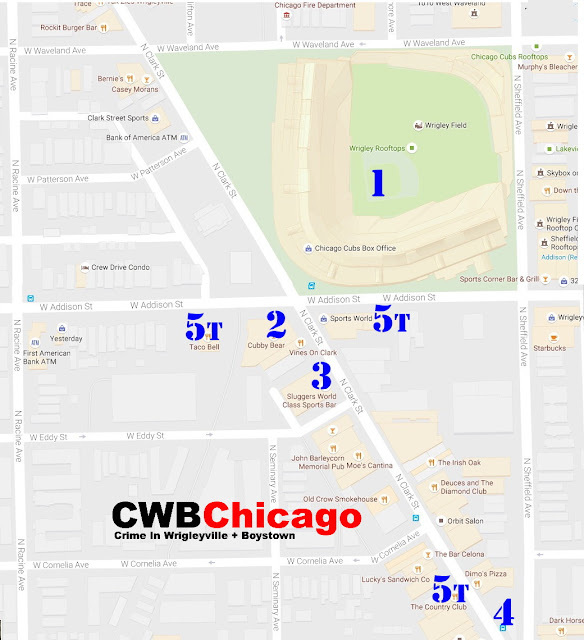 Editors determined if an arrest was "Cubs related" by reviewing police reports for all arrests made within a quarter-mile of Wrigley Field and within 3 hours of any Cubs home game in 2016. When individuals face multiple charges, we only include the first two counts on their arrest reports.